I created one-page printable VSDC cheat sheet for total beginners. I find the cheat sheet to be SUPER helpful because opening up new video editing software for the first time is a little daunting. The cheat sheet gives you each step to get started. If you haven’t grabbed that yet, just enter your email into the box below and I’ll send the cheat sheet directly to your inbox! 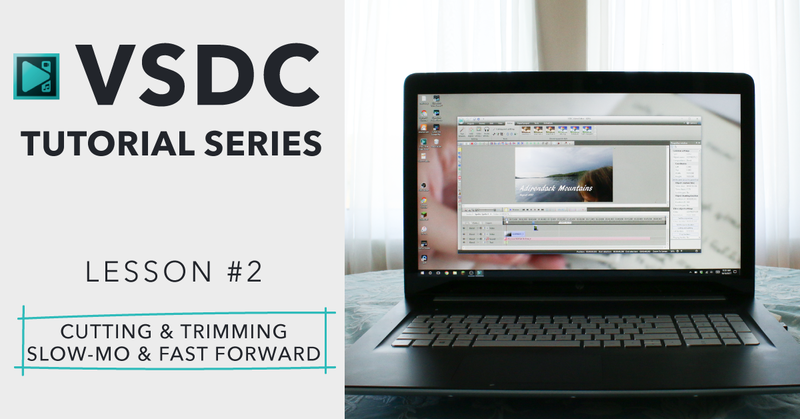 So in this second VSDC tutorial, I go over a few basic editing functions, plus some fun ones like fast forward and slow motion, and I also show you how to turn on waveforms if you have the Pro version. 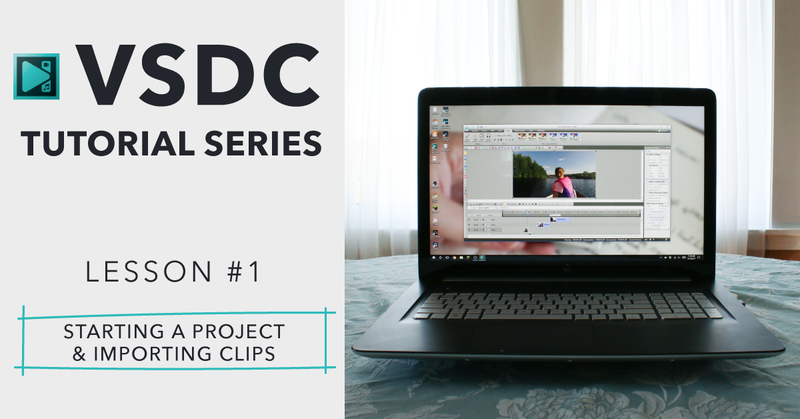 The Pro version of VSDC is only 20 bucks (actually, click here to grab the Pro version for half price), and one of the features you get with that is the ability to SEE your audio waveforms. I find that seeing waveforms when editing makes it a LOT easier when splitting and trimming clips because I have a visual cue of what’s going on in the background audio of my clips. I explain it in more detail in the tutorial video, which you can view above or click here to watch it on YouTube. 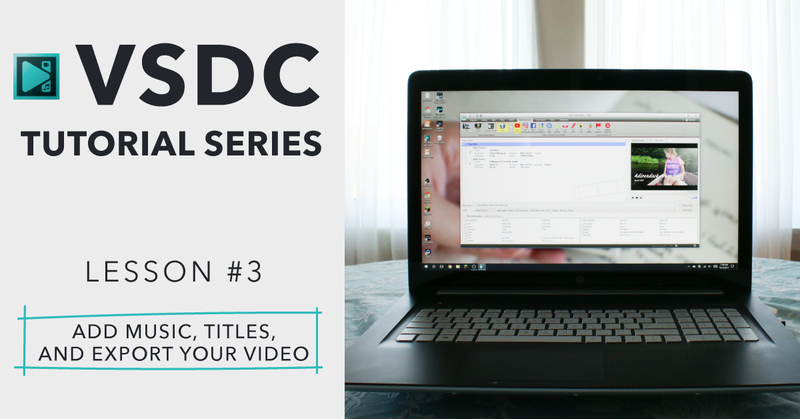 In the next video in this VSDC series, I’ll show you how to add music, text titles, and of course, how to export your video so you can upload to Facebook or YouTube… to show off to your friends and family! If you haven’t already, be sure to subscribe to my YouTube channel so you get access to the next video right away! When I click on the link to your site so I can get the half price version, one needs a discount coupon. How does one get that? Also, can you explain how to cut off the end of a video. You mentioned it and showed some dragging but there was no removal of the end of the clip. how do you make a lyric video using vsdc? it doesn’t have to be a lyric video actually… the slides. with the texts. like the one in movie maker. but i don’t want to use movie maker for some reason. now how do you make it? Your site says “Click here to get the Pro version for half price” but when I do the price remains $20. Is there a discount code that I need to enter? Hi Bob, try again. The discount code should be working again. I’m not sure on that one. You stumped me! If you are on the Editor menu, and you selected the “Cutting and splitting” button, it opens up a more detailed window that has an “Apply changes” button on the bottom right corner. Very impressed with your tutorials….the best part is your voice…clear and slow. You seem to have attached as much importance to the audio as the video. Hi David, I’m not totally sure I understand the question, is it a question about Premiere Elements or about VSDC (the post where you commented)?